Look at me go! i’ve been tearing thru the work at the moment, so it’s time to post up some new pictures of what i’ve been working on! 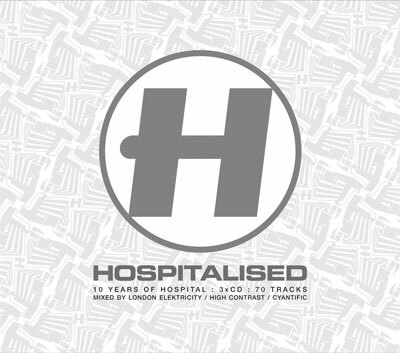 I helped work on Hospital’s 100th release artwork. I designed the building pattern used on the cover, poorly illustrated here because the pattern is actually in extra deluxe spot varnish, which has proven to be a nightmare to photograph. 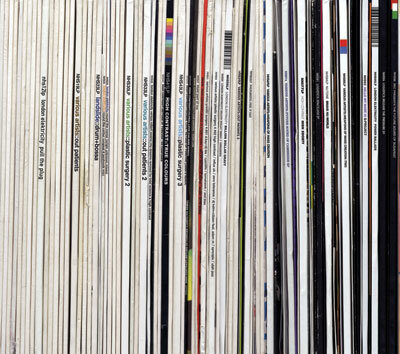 I also created the picture of all 100 spines used inside the CD artwork. it’s all so luxury! 😀 and it’s out NOW! so run for the shops and buy it cos you like my art, and discover how good the music is too. 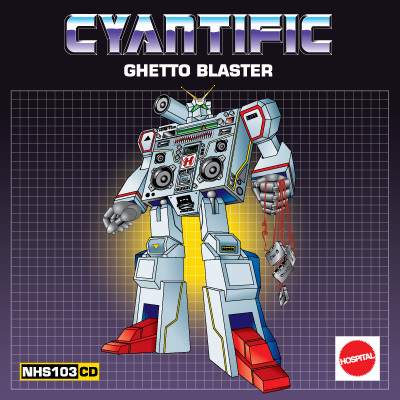 After NHS100, i got to work on Cyantific’s debut album ‘Ghetto Blaster’. It was probably one of the most strenuous projects i’ve worked on, but this is what’s yeilded. It’s a right tour-de-force of 1980s transformer toy powar with a bit of a decepticon vibe, but there is some autobot styles throughout the other parts of the artwork, which should be in my portfolio by now. 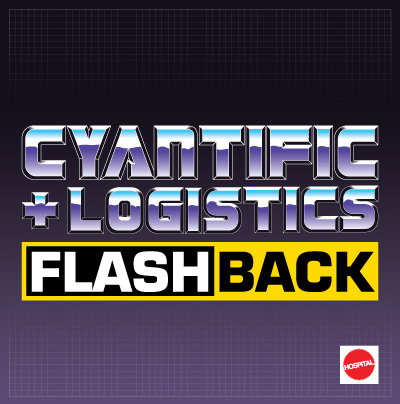 Flashback is the leadup single to the album, which is released on 24th March, and you NEED to buy! I’ve recently picked up some work for DJ Bailey and his IntaSound imprint, so far have done a magazine advert and some labels for the next release. i’ve pictured the labels here, and the advert should be in the portfolio. This is John B’s leadup single to his forthcoming album ‘Electrostep’ – it’s called ‘I’ve Been Stalking You On MySpace’, and we’re hoping for a bit of an indie-pop success, given the explosion of myspace across british youth lately. here is the cover- it’s got a punk vibe, and matches the Electrostep CD cover. The remix cover is similar but fluorescent green to burn your eyes out when you look at the vinyl in hmv. fun! this one is so hot off the press! i only just finished this last night. deep house vibes for a new image for critical! i’m well happy with this. nice and clean. i’m also bizarrely pleased with the new labels i’ve done too. minimalism is teh win!